East-west settings, pink stones on pink gold, pear shape cut, oval cut and marquis cut diamonds and off-colored gemstones are some of the trends that have gained momentum in 2018. Rock N Gold Creations has been a local San Diego jewelry designer for 30 years and owner, Simon M. has been fascinated by the changes of trends over the decades and some of the trends from the 70’s, 80’s and 90’s are appearing again in 2018. With winds gusting and the cooler temperature, it’s tempting to loaf around indoors. However, I urge you not to let frigid temps and dreary weather deter you from creating romantic experiences with your partner. While we’ve all experienced the cold weather blues, all it takes is a little inspiration to spark your chemistry again. Before you reduce your date nights to take-out and Netflix, try these ideas. Taken straight out of my own relationship playbook, these “cold weather” friendly date ideas will help you heat up your love life during the winter months. Thought the only fun get-a-ways were beach get-a-ways? Think again. Winter get-a-ways can be just as whimsical and adventurous. Schedule a private weekend trip for just the two of you and go! Need some ideas? If you’re looking for action, try skiing, snowshoeing, dog sledding, or snowboarding. If you’re looking for a more cozier feel, rent a log cabin. Before heading out to shop for an engagement ring take some time to research terminology and insider shopping tips to make the most of your visits to the jewelry stores and reviewing online jewelry stores. RockNGold Creations has launched a new mobile friendly website featuring new jewelry designs, products and services. RockNGold Creations is Now Private and By Appointment Only! We now offer convenient options for your busy schedule. When booking your appointment, we can meet at our Mission Valley conference room or we can come to your place of business or home! Private one-on-one appointments allow for a more focused personalized consultation vs. juggling public walk-ins and calls. We pass the savings to YOU! Now, that we moved from our brick and mortar location and overhead costs have reduced, we pass the savings on to you. Who does the consulting, designing and manufacturing? 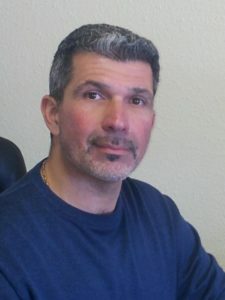 Simon Mattar, owner & founder of RockNGold Creations consults with clients, designs all jewelry creations, and oversees all orders to ensure quality. Simon is a Master Design Artisan and Registered Jeweler Graduate of the Gemological Institute of America (GIA) with 30 years experience in all facets of the fine jewelry industry. Our long term relationships with our San Diego Master Bench Jewelers allows us to continue to offer consistent, high quality products and services. We looking forward to assisting you with your holiday gift buying. Call for a private gift buying consultation, 858-571-4560. 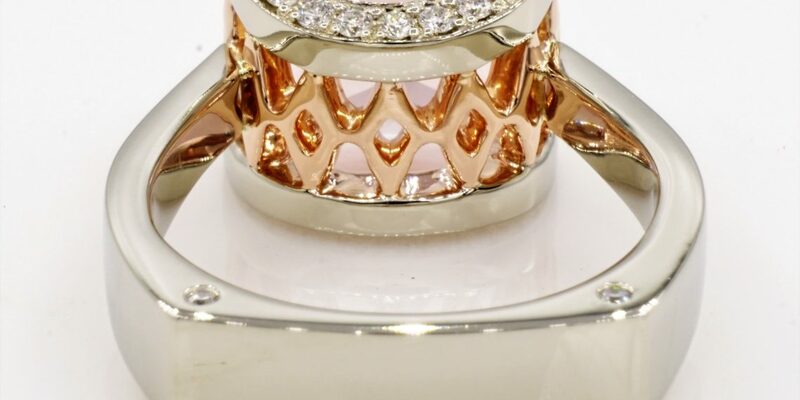 There are many different reasons why laser welding jewelry is superior to soldering. To better understand the differences, we must first look closely at the two processes. Soldering, or more appropriately brazing, is a capillary fill system where solder is heated with a gas-oxygen torch or open flame. The solder then flows across and bridges the noble metals together. Solder is an alloy that is designed to melt at a lower temperature than the noble metal one is soldering. Therefore, it is a different alloy than the noble metal. The heat used for this process is very high, and thus often results in a visible seam, discoloration or fire scale in the solder area. Keep up with the price of gold. Know how much gold is going for on the day you sell. 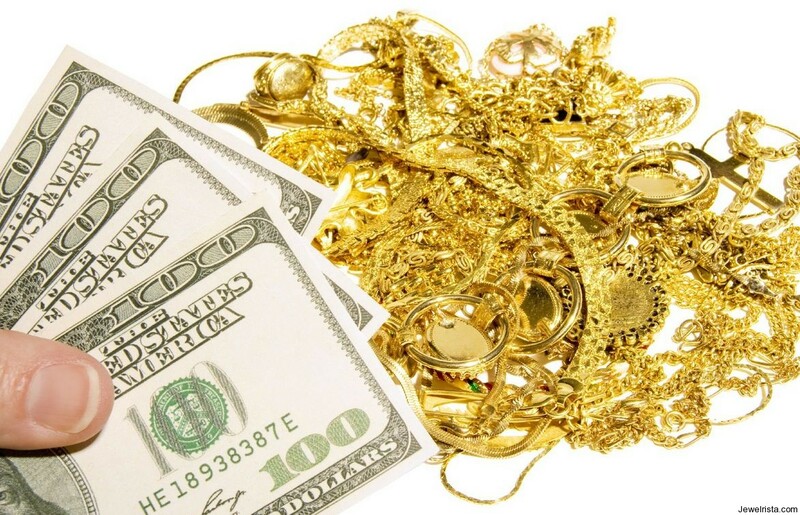 Understand that you won’t get the full price for your gold, because you’re selling to a dealer who then will re-sell the items to be melted down. Know the karat weight of your gold items. Jewelry and other items aren’t pure gold, but a mix of gold and other metals. The karat weight tells how much gold is in the item. Something marked 10K is about 42% gold; 14K is about 58% gold; and 18K is about 75% gold. The more gold in the item, the more you will be offered for it. For items that may be especially valuable, consider getting a professional appraisal. You will have to pay for the appraisal, but you will gain important information. Rock N Gold Creations offers complimentary verbal estimates of the value of your items. Simon Mattar, Founder of Rock N Gold Creations is a GIA Graduate with over 25 years experience in fine jewelry appraisals. Simon’s expertise is vast ranging from vintage estate collections to high value investment diamonds. 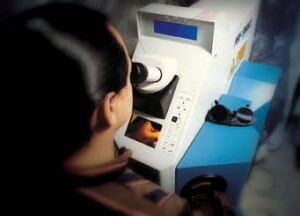 One of the most rewarding experiences of appraising fine jewelry comes from the stories gems and jewelry reveal. There were incredible pieces from the 1930s, 1940s and 1950s. Simon M., Rock N Gold Appraiser enjoys the discovery, the history, the stories behind the jewelry and the people; it is fascinating to see the progression of jewelry design over the years. Insurance Coverage:The most familiar type of appraisal, the insurance appraisal estimates the cost to replace your jewelry either with equivalent new jewelry or with equally desirable substitute jewelry of the same type, quality, age and condition. Resale Appraisals: Many people are taking advantage of high metal and gem prices by selling jewelry that is broken or damaged, or that they no longer use. 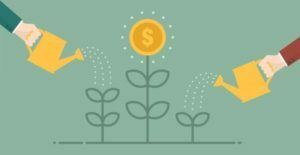 Estate Planning: If you are setting up a trust and want to include jewelry, then you may need an appraisal. Charitable Contribution: If you are donating jewelry to a charitable organization. The perfect fine jewelry gifts that will make this Valentine’s Day the most memorable yet. Show your love with our jewelry picks for Valentine’s Day jewelry gifts! Show your loved ones how much you care with a captivating and sentimental piece of fine jewelry. Start your Valentine’s Day gift list here with our gift guide featuring these top jewelry gift trends for this Valentine’s Day. Rock N Gold Creations is available for complimentary Valentine’s Day Gift Consultation ~ Call Today at 858-571-4560 or Visit our Website ~ www.rockngold.com. What is the difference between commercial jewelry vs. designer jewelry? Most department stores are filled with cases of commercial jewelry. 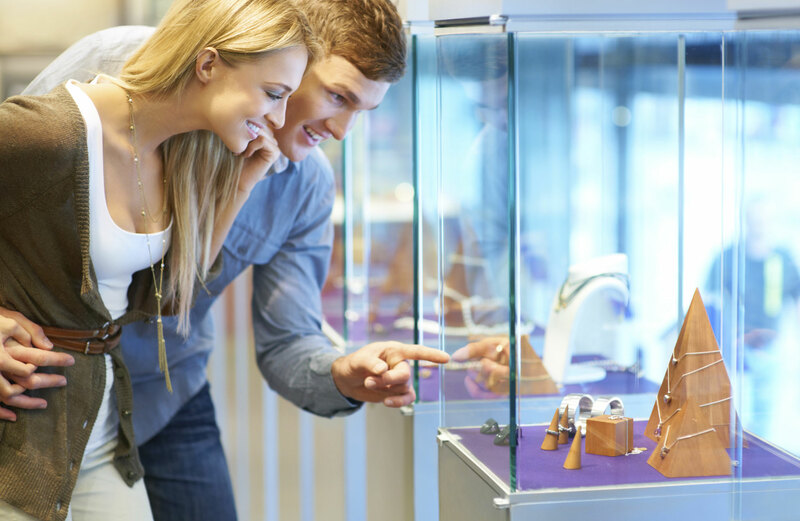 Shopping Mall jewelry stores typically carry commercial jewelry as well. 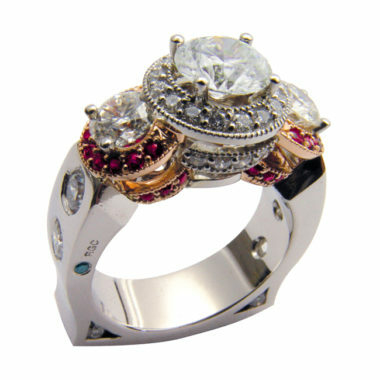 However, when you visit a gallery or a free-standing jewelry store, you will most likely find designer jewelry. What is Designer Jewelry? Designer jewelry usually refers to jewelry that adheres to a certain aesthetic determined by an individual craftsman or design company. The emphasis is on a particular aesthetic, often employs precious or unusual materials, and sometimes contains handcrafted elements. Designer jewelry is frequently made by hand by artisan jewelers. Rock N Gold Custom Creations by Master Design Artisan Simon Mattar, Founder of Rock N Gold Creations. 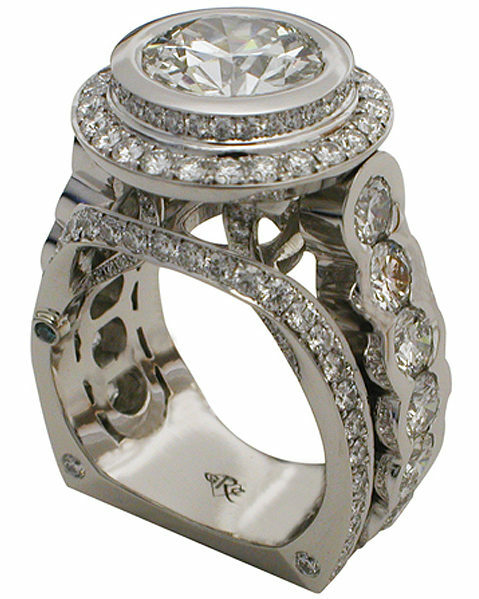 Platinum Double Halo Design featuring Round Brilliant Center Stone accented by Round Brilliant Diamond side stones. RGC “Signature Blue Diamond” Collection. Diamonds signify steadfast, enduring love because of their unmatched strength and beauty. It’s no wonder diamond engagement rings are the most popular accompaniment to popping the question. Although the tradition of giving a ring to the woman who has promised to become your bride goes back centuries, diamond engagement rings are a relatively recent innovation. Diamond engagement rings first became popular in the 1930s. By 1965, 80 percent of all new brides in the United States sported one. A man presents his prospective bride with an engagement ring upon acceptance of his marriage proposal. In 1477, Archduke Maximillian of Austria commissioned the very first diamond engagement ring on record for his betrothed, Mary of Burgundy. This sparked a trend for diamond rings among European aristocracy and nobility. Exciting Rock N Gold Creations News!